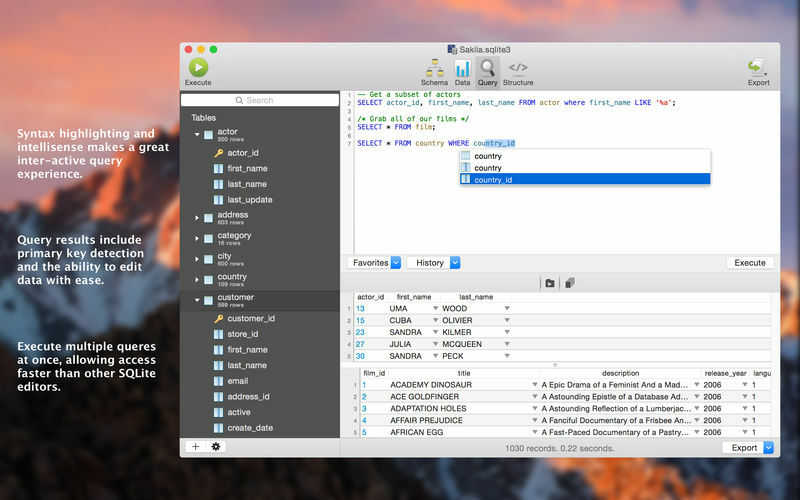 SQLPro for SQLite is an advanced sqlite editor. It has an easy to navigate interface, with the ability to perform the most basic to advanced tasks. Syntax highlighting and query intellisense/auto-complete. Pick from multiple included themes, or design your own. Automatic external change detection reloads a database when modified outside of SQLPro. Version integration. Mucked your database? Rollback to a previous version. 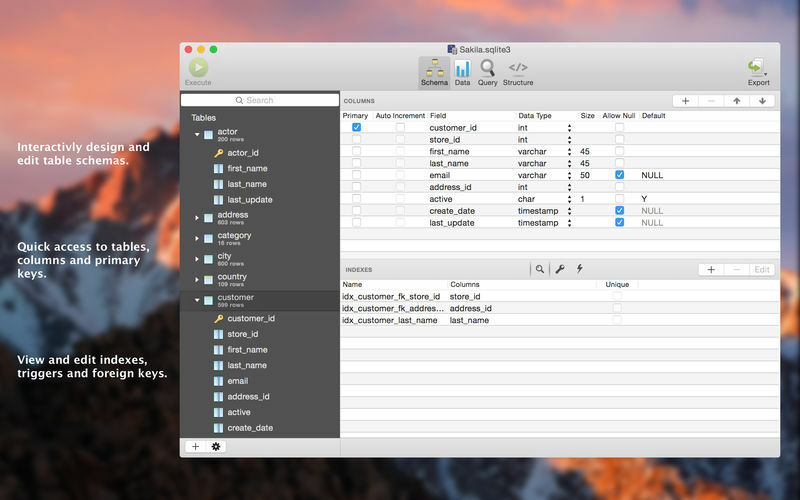 Export your data to csv, mysql, xml or json. Backwards compatibility with SQLite 2. 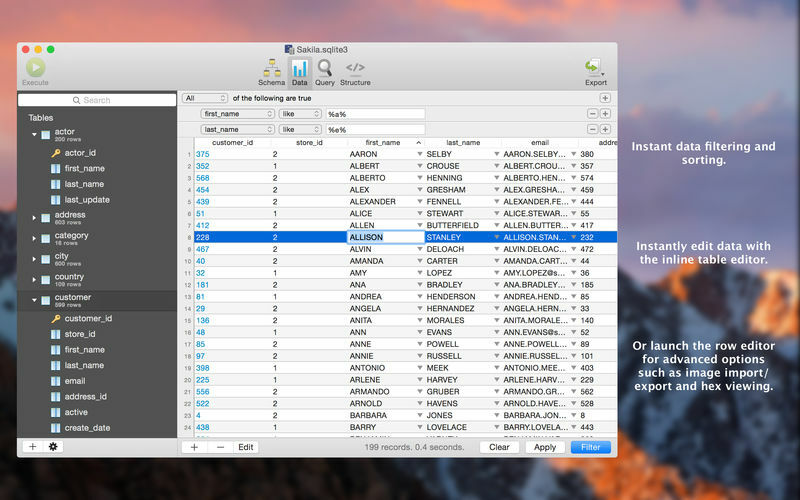 Inline filters allowing you to customize the way your data is displayed. If you would like to try before you buy, you can also give our free Read-Only version a look!